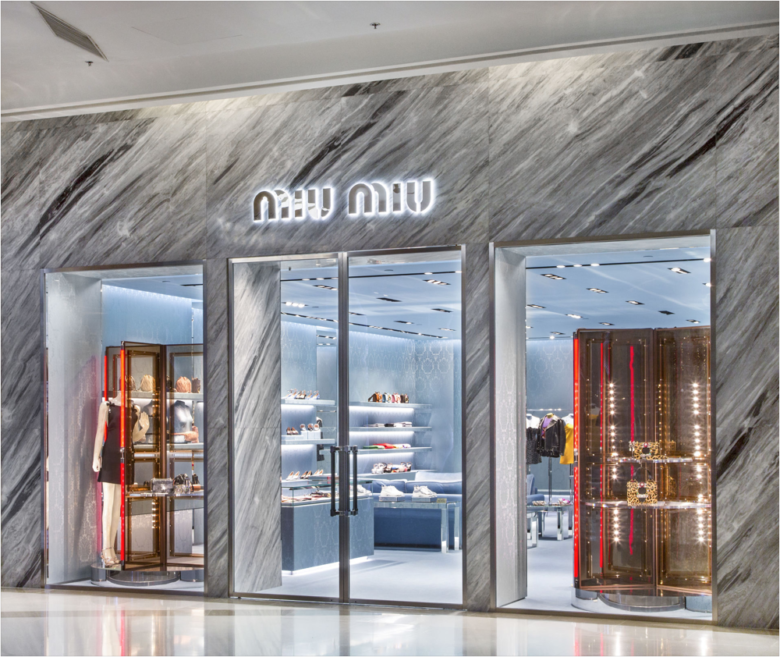 Following the renewal of boutiques at EmQuartier and Central Embassy, two of Bangkok‘s leading shopping malls, Miu Miu has revamped it third outpost at Siam Paragon mall. 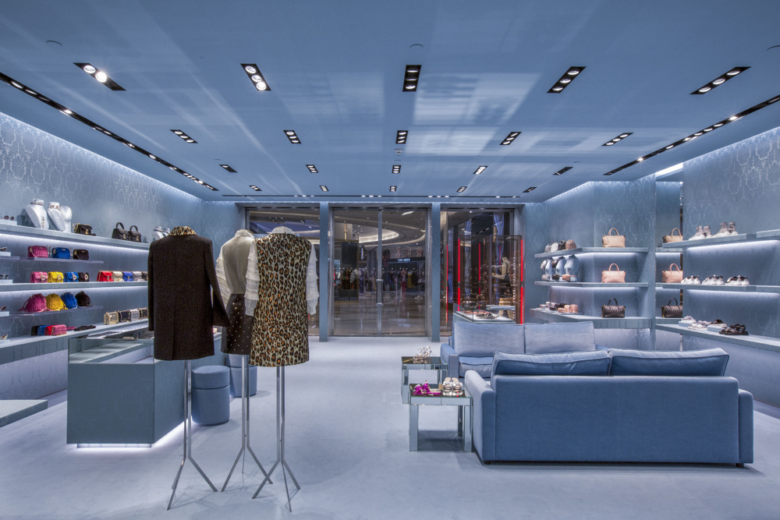 The Italian fashion house rubs shoulders with a string of other luxury brands on the shopping mall’s so-called Main Floor where it occupies a 140 sqm. 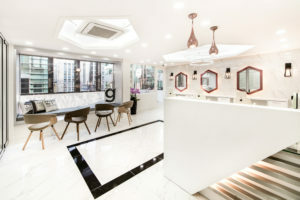 (1,507 sq.ft.) unit. 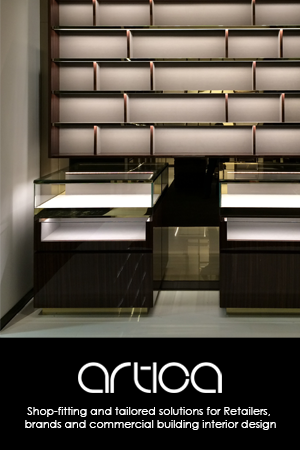 The façade is now decorated with luxurious Bardiglio marble from Italy, offering a striking contrast with the indoor aesthetics. 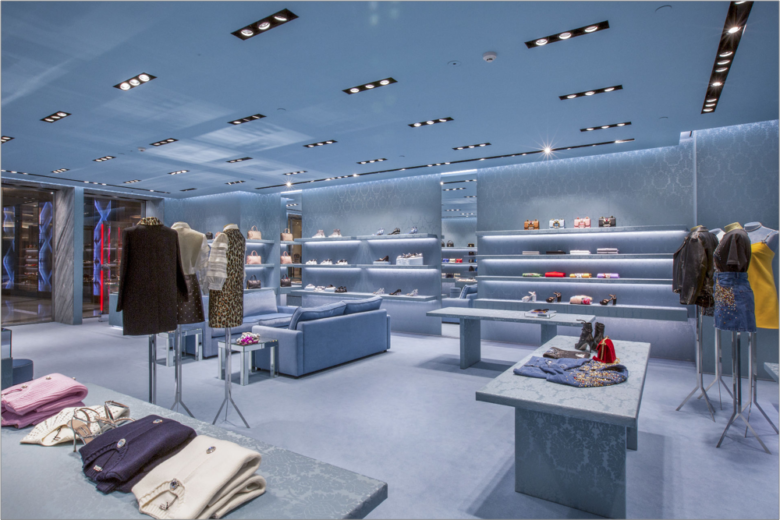 The interior design is dipped in Miu Miu‘s light blue colour, captured by walls, ceiling, carpeting and all furnishings and fixtures. 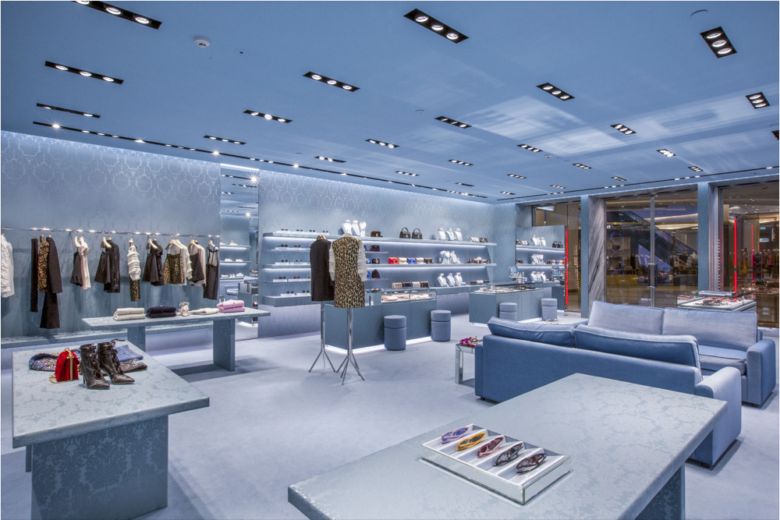 The walls are covered in damask, a signature element of the brand’s retail design codes, and the motif is also reflected in display tables. 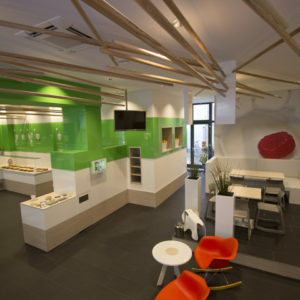 Shelving, clothing racks and cabinets line the walls all the way to the far end of the store, and in the middle a seating area with sofas has been created where shoppers can sit back in between shopping sprees. 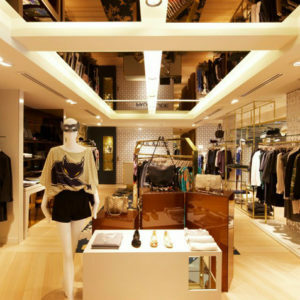 The new Miu Miu boutique carries the brand’s full range of women’s ready-to-wear, leather goods, footwear and accessories.